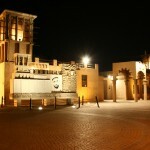 Dubai’s History can be traced way back 3000 years. In 1833, Al Maktoum dynasty of the Bani Yas tribe captured Dubai and then Dubai became an independent emerate. @nd December 1971 formed the United Arab Emirates after Britain left the Persian Gulf, in 1973 the emirates got their own currency. The major turning point of Dubai history is when they found oil in 1966, Dubai then created their own currency. 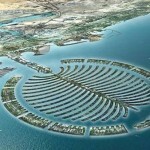 Once the first shipment was made that was then the future of Dubai was secured. The formation of UAE happened after the Britain left the Persian Gulf in 1973, causing Dubai anf Abu Dhabi and 5 other emirates to unite, but Dubai and Aby Dhabi secured negotiations that they could control the country effectively and that enabled the great expansion that is seen today in Dubai. This means that only Abu Dhabi and Dubai only have the rights to have vote power of nation importance where other emirates have vote rights for other matters. From the death of Sheikh Rashid Al-Maktoum made the accession of Sheikh Maktoum bin Rashid Al Maktoum to the throne. In 1990 there was a war between which is the Persian Gulf War which made Dubai as part of UAE provided soldiers as well to aid the coalition as well as the unsettled economy, but during the 1990s many foreign trading communities and moved their business to Dubai, and from there on the Dubai has become a business center from all over the world. There was then the global increase of oil and the success of Jenel Ali free zone. You can still taste the history of Dubai in Dubai Museum and by taking Dhow Cruise to view the most historical places in Dubai. Now today Dubai owns the largest shopping mall, tallest building, and the first man made islands, as well as the most beautiful airport in the world. 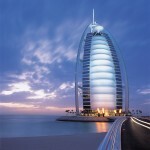 And Dubai’s economy is based on tourism and therefore the vision of Sheikh Al Maktoum has come true. Visions of Dubai has always been great since Sheik Mohammed’s father saw the potential for the region. In the 60’s they discovered oil and it became a foundation for their wealth and vision. In combination of the creation of 7 emirates that happened in 1971 formed the United States of Emirates, which each leader created a ministry which they call the Board, Here are Abu Dhabi’s leader which is in the highest position, Each individual emirates Sheik is in control of his own region. Sheik Mohammed has put Dubai on everyone’s lips with his outgoing projects. Short after he launched the project Information Technology Education, which aimed children at the age of 11-16 or 18. It made him realize the importance of education and the technological future. Soon after he announced e-Dubai, which is an initiative to achieve infrastructure environment and an attitude that will enable a new economy in the condition to be operating out of Dubai. In January 2001, there was a similar initiative taken, namely the Dubai Media City or DMC which, along Dubai Knowledge Village Dubai collector Technology, Ecommerce and Media Free Zone, which are all a part of Dubai’s future vision. Early 2001 Sheik Mohammed announced one of the world’s ambitious projects, The Palms, with a value of $ 3 trillion (14.4 billion dollars). The project will add 120 km. Water front Dubai’s coastline.